Hello and welcome! 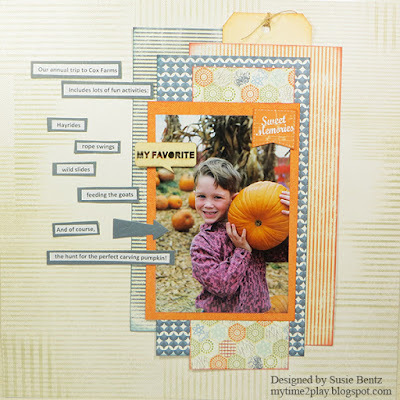 Susie hosting the blog today with a fall themed layout featuring the Honeycomb collection! The nice thing about working within a collection is that all of the papers are designed to coordinate. I started with Honeycomb 103 as the background and then matted the photo on the orange side of Honeycomb 102. I cut pieces from other papers in the collection and inked the edges with Barn Board and Navy PowderPuff Chalking Inks. I layered them behind the photo and added strip journaling and a tag! 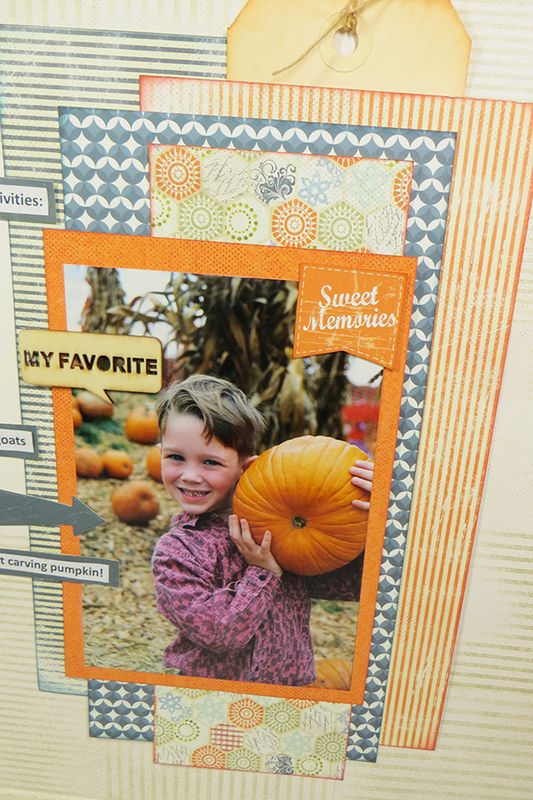 The colors in this collection are perfect for your pumpkin patch pictures - oranges, blues, a soft green and creamy off-white.